A leather three seat reclining sofa. The Carson Three Seat Reclining Sofa is a premium leather sofa and is available to order in wine or tabac(medium tan) colours - please select your choice from drop down menu above. The Carson Three Seat Reclining Sofa is available to purchase with a reclining armchair/reclining two seat sofa in any desired combination/quantity. 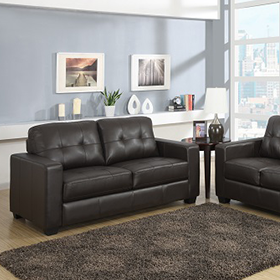 The Carson Leather Sofa Range is available to order in reclining option only.